Have you ever eaten something before that was so delicious that you couldn't stop thinking about it? That's how I felt after having some Greek pasta salad from a local restaurant. 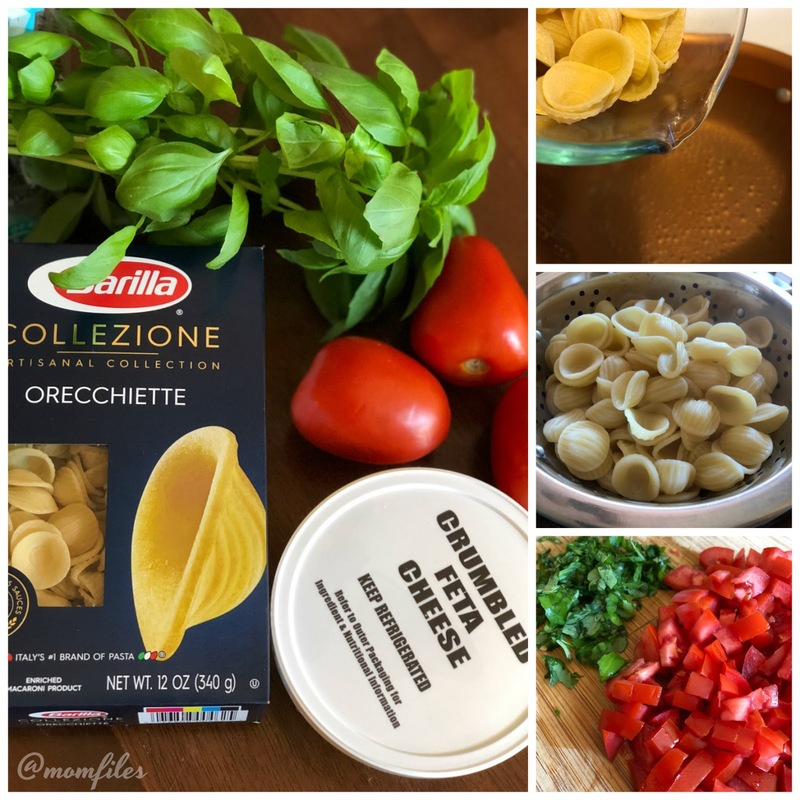 I was lucky enough to have a friend share what goes in in so I could recreate it at home. 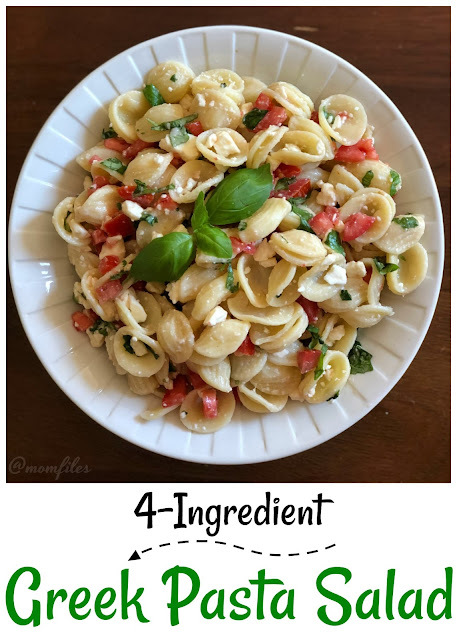 The best part is it only requires four ingredients! Bring a large pot of water to a boil, and add a generous amount of salt. Boil pasta for about 12-15 minutes, or to the doneness you prefer. I find this type of pasta to be way undercooked from following the package instructions. Drain pasta and cool. I like to toss it in a bowl and pop it in the freezer for about 8-10 minutes to get a quick chill. Chop your tomatoes and basil. Now all you do is toss pasta, tomatoes, basil, and Feta together. That is it! This Greek pasta salad is a great item to take to a cookout or potluck. It can be made the day before. So easy, right? 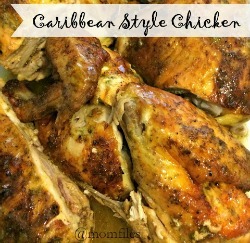 It pairs very well with grilled chicken or steak. 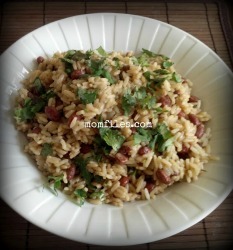 If you decide to try this recipe, let me know how you liked it. Thanks for stopping by today. Ooh, I love Greek salad. I'll have to try this out. Basil is my new it herb. I've been adding it everything. There's no dressing? Just the cheese? 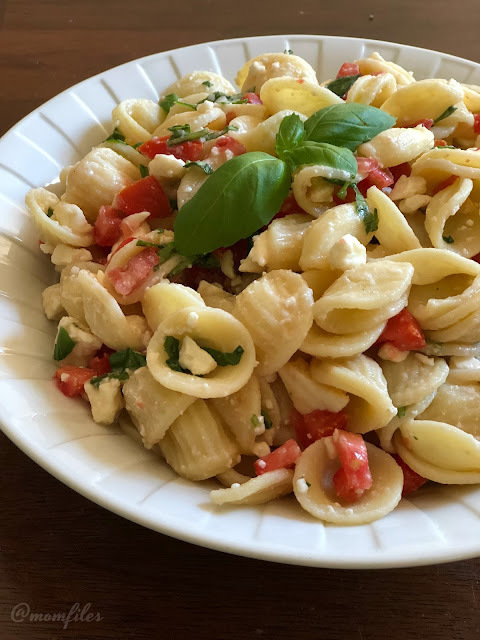 I haven't tried this kind of pasta salad before but looks delicious!